Nightclubs are almost always local businesses, and South African clubs certainly fit this pattern. Whether it’s township venues or big-city nightspots, each neighbourhood supports enterprises which reflect its dominant cultures and ethnic diversity. Like elsewhere in the African continent, South African urbanization continues to grow rapidly which means cities have rising populations of single professionals, visiting tourists and travelling business executives. All of which demand good nightlife facilities where they can socialise, drink, eat great food and enjoy good music. McKinsey demographics show that Africa has the world’s highest proportion of young people with more than half its population below 20 years old. Furthermore, the African continent’s 16 to 34-year-olds now account for around 55 per cent of income. With an urban population of 38 per cent, Africa is more urbanized than India (30 per cent) and just behind China (45 per cent). Estimates for 2016 suggest 65 cities in Africa will have more than one million inhabitants, and Africa’s urban population will exceed 500 million. Some entrepreneurs may see owning and running a nightclub as a way to make money whilst enjoying the fruits of an exciting lifestyle. Nevertheless, it’s important to realise that any nightclub that does not run on sound business principles won’t stay afloat for long. To be successful, a prospective owner must have or develop, a deep understanding of the tastes and expectations of your target market. For anyone genuinely interested in the nightlife sector this means being acutely aware of contemporary moods – in other words keeping a close eye on fashion trends, knowing what’s hot on the music scene, and skilfully aligning what you offer in entertainment, food and drink. Essentially, a nightclub owner must understand how the world of hospitality works. This can take a lot of training and experience, so time spent working in bars and restaurants is never wasted. Though the ability to make people feel looked after comes more easily to some, turning yourself into a good host is something you can work on and it will definitely enhance your prospects of success when you strike out on your own. The name of the game is fun, relaxation and entertainment, so your plans must focus on what you will provide for your visitors. Your nightclub themes, styles, menus and more will not only have to satisfy your clients when they visit for the first time but must be appealing enough to keep them coming back. Music can obviously be a big draw, with many live bands attracting a regular following. In addition, popular DJs can broaden and enhance the music menu whilst also building a party atmosphere. Comedy can give your club a special appeal, as can establish theme-based party nights. Likewise, gaming facilities can bring in large audiences, who may expect ancillary facilities tailored to their interests, such as arcade games, televised sport and pool tables. While keeping a close eye on your chosen target group is important, it is worth keeping an even closer eye on your rivals. Remember crowds can melt away very quickly if something more fashionable and appealing becomes available. Many nightclubs now make a point of catering for a variety of audiences. This can be achieved by running contrasting types of entertainment and events on different nights. But if you have the layout and facilities, you can split your audience into different rooms – or even over different floors. A common approach is to have a main dance floor with a stage and DJ facilities, plus a space around this area to accommodate a sizeable number of guests. Smaller spaces can then be used for private parties and other special events. Further areas could provide bars and dining facilities for clients who want to enjoy a quieter and more relaxed evening. The key is finding what works for the audience you want to attract and then retaining their interest. A multi-choice model is one way to hedge your bets, and then back the winners. 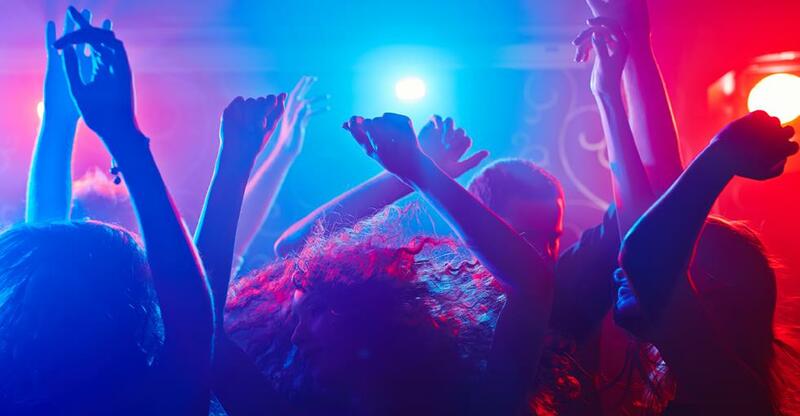 Purchasing an existing nightclub may be an attractive proposition. However, it will be for you as the prospective buyer (and your advisors) to thoroughly vet the business and assess its future prospects before you enter into a commitment. Location is a key issue and will be an important part of your strategy. Getting the right location will help you reach the communities and income groups you wish to target. Urban areas close to densely populated areas are likely to be your default choice. You should also make a detailed assessment of rival clubs. If the club scene in the area you choose is near saturation point any further newcomers could present a real threat to the future of your enterprise.